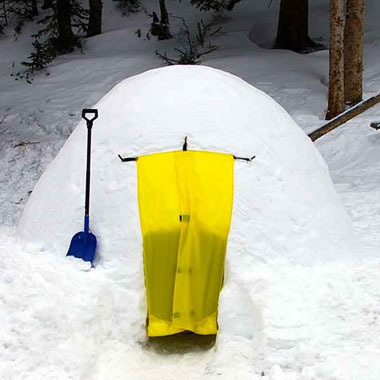 Igloos are great for Winter Camping, Building Snow Shelters or just plain fun with the Kids! 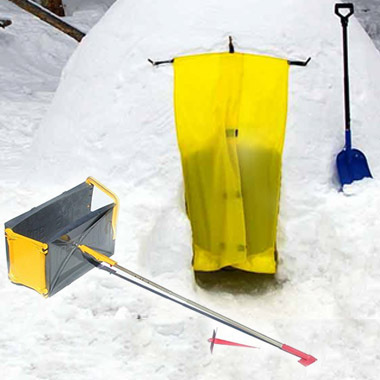 Building an Igloo with Our Easy To Use Tool Makes Winter Camping Fun and Easy! Be Comfortable, Warm and Safe! Learn How To Build An Igloo! The ICEBOX® Igloo Building Tool kit consists of a lightweight, packable tool for building an igloo style snow shelter in any snow conditions. 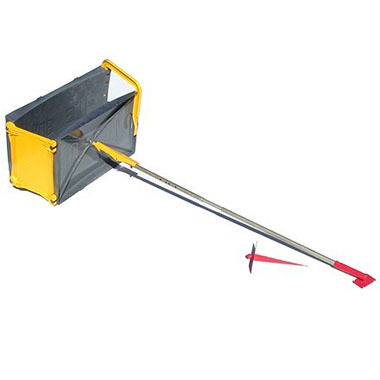 The ICEBOX® snow building tool is engineered to be affordable and easy to use. The tool will allow you to build igloo structures that are strong, stable and comfortable for whatever the purpose. Winter camping, snow camping, or just for fun through the winter in your backyard. Our tool will allow you to build igloo structures that are strong, stable and comfortable. Our new forum format is a great place to talk to other members and to collaborate and share ideas on building igloos. Whether you are new to snow camping or a seasoned winter camping expert, our forum is your place to share and explore. Our how to videos make it easy to see how your new ICEBOX® tool works. We also show many of our customers and partners videos that are all very useful. Send us your ICEBOX® video! Our videos show just how easy it is to build igloos! We have igloo pics from around the world! Igloo and snow shelter building is a blast and we have taken many pictures of the fun. Get ideas or share your pictures with us. We love to post our customers pictures for everyone to see their handywork. Explore the ICEBOX® Snow Shelter Building Tool. Whether your looking to build an igloo with the kids or you are a serious winter camper, you need an ICEBOX® tool. Igloos and domed snow shelters are easy to make and fun for the entire family. Get out there and have some fun! The ICEBOX® igloo construction tool is used for igloo building by creating sequential blocks in place. You set the clamps on the form then fill it while packing. After you have filled it you unclamp it and slide it to the next position. The snow only needs to hold its form well enough to stay in place until you start the next block. 8 total rows are built including the final cap. Product packing weight for 7, 8, 9, 10, and 11 foot kit is a maximum weight 5lbs 6oz. Ed, thank you for your help in securing an ICEBOX®. Thanks for a great tool. I am sure it will get much use in the coming years and bring much pleasure to both the scout leaders and the young men in our scout troop. We were comfortable and dry thanks to the igloo that we built with a tool that I found on the internet called the ICEBOX®. I wanted this tool for my Boy Scouts. Now I think this is an essential piece of camping equipment if one wants to be comfortable in the snow. They used of the ICEBOX® with marvelous success. They built walls and used a tent the first night at new camps and then built igloos the next day. 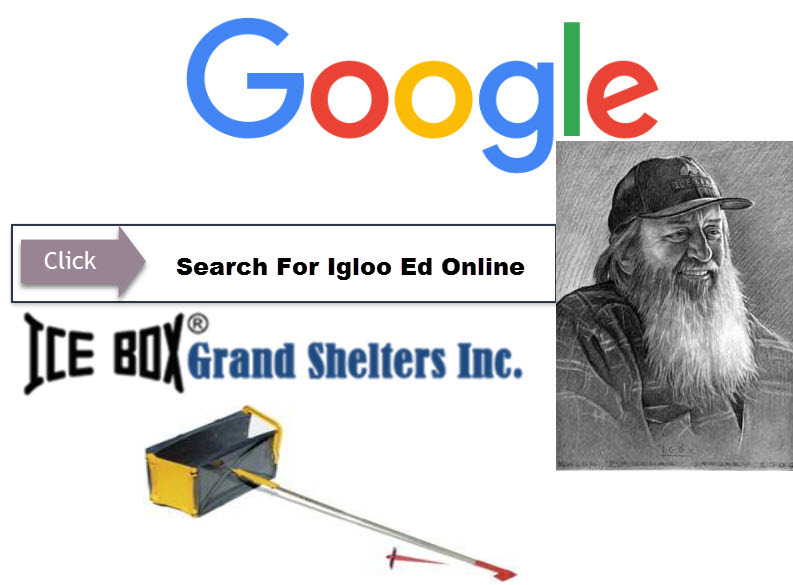 Everyone that was in the camps couldn’t believe how well the igloo tool worked.